An updated preliminary economic assessment (PEA) of Marathon Gold’s (TSX: MOZ) Valentine Lake project in Newfoundland, which was based on 20,000 metres of additional drilling since February, among other work, demonstrates stronger economics than an earlier PEA completed in May. The new PEA estimates the project will produce 2.72 million ounces of gold, an average of 225,100 ounces per year, over a 12-year mine life. The earlier study outlined a mine life of 10.2 years, for total production of 1.90 million ounces of gold, or an average annual production of 188,500 ounces. Valentine Lake’s measured and indicated resources in the updated study jumped by 35% to 45.15 million tonnes, the grade declined by 7% to 1.85 grams gold per tonnne and the total contained ounces increased by 26% to for 2.69 million ounces of gold. Inferred resource tonnes increased by 55% to 26.86 million tonnes, the grade declined by 11% to 1.77 grams gold and the contained ounces increased by 30% to 1.53 million ounces gold. The latest study lowers pre production capex by $25 million to $355 million, and trims the post-tax payback period from 2.8 years to 2.5 years. Initial and sustaining capital costs were cut by leasing the mining fleet rather than buying it, while early near-surface higher grade resources with a low strip ratio enable higher gold production in the early years of the operation and a fast pay-back. At a 5% discount rate, the project’s net present value after-tax has jumped by $126 million to $493 million, while the internal rate of return has gone up 5% to 30%. Throughput at the mill increased from 7,500 tonnes per day to 9,000 tonnes per day, while throughput on the heap leach pad remained constant at 9,000 tonnes per day. The updated PEA, however, does show higher costs. Life-of-mine cash costs are estimated at $603 per oz. (compared with $557 per oz. ), while all-in sustaining costs are $666 per oz., up from the earlier estimate of $595 per oz. The company expects to complete a pre-feasibility study in 2019 and to start initial production in 2022. The Valentine Lake project is made up of four open-pittable deposits: Marathon, Leprechaun, Victory and Sprite, but Marathon and Leprechaun contain the vast majority of the gold. Sprite is excluded from mine development plan until the company has had a chance to do more exploration drilling and increase the resource there. Marathon’s work for next year includes step-out drilling to expand the open pit resource along strike to the southwest and infill drilling to reduce inferred resources in the pit shell. At the same time, the company will continue exploration drilling at its Sprite deposit in an effort to extend the mineralized zone towards the Marathon deposit to the northeast. 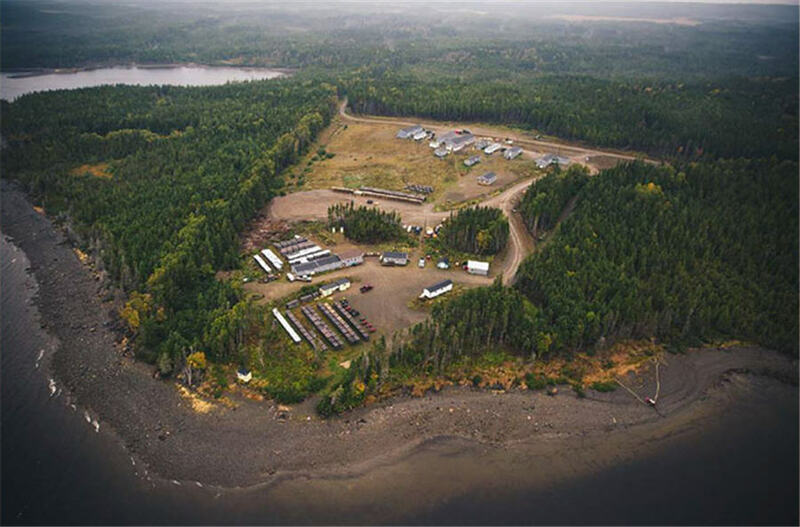 The PEA did not incorporate the underground resource and infill drilling is expected to improve the company’s understanding of the underground mineralization, which it believes could contribute additional ounces that could be extracted using underground mining methods. In the meantime, metallurgical work is underway to improve recoveries.